WHEN Offshore Solutions revealed this week it had recently completed a key project in the North Sea, it said the technology at the heart of it could create new opportunities for many oil and gas operators. Managing director Lindsay Young went further, however, predicting that it could propel the company to a 50% increase in annual turnover from the £7million expected this year. He is certainly not afraid of a challenge. As a keen triathlete, the 54-year-old has slogged his way by foot, pedal and swimming stroke through plenty of stamina-sapping tests of endurance. Offshore Solutions provides advanced systems and related services for the transfer of people between offshore structures and vessels. It is a joint venture: established in 2007 by international engineering/project-management company Amec and Cofely Nederland, part of French energy giant GDF Suez. Mr Young replaced Ian Sadler as managing director in September and has since overseen the introduction of a new free-standing offshore access system (OAS), which the firm says is revolutionary. 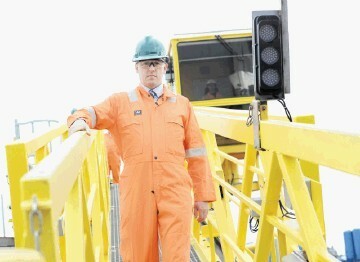 The core technology uses a traffic-light method, allowing offshore workers to cross between ships and installations in safety. The free-standing version is said to reduce significantly the installation time, making short-hires much more economically attractive. According to Mr Young, who hails from Edinburgh, the innovation paves the way for a spell of rapid growth at the firm as more oil and gas operators become aware of the benefits. He said a growing number of inquiries to the company were about short-term hires, rather than the long-term arrangements which had dominated the market in the past. The new system was used recently to transfer workers between the MS Stril Explorer and Shell’s Anasuria floating production, storage and offloading vessel 109 miles east of Aberdeen. All 294 individual transfers were achieved while the MS Stril Explorer continued with diving activities. Most of the company’s work to date has been in the North Sea, but it is now eyeing areas such as the Middle East for growth opportunities. 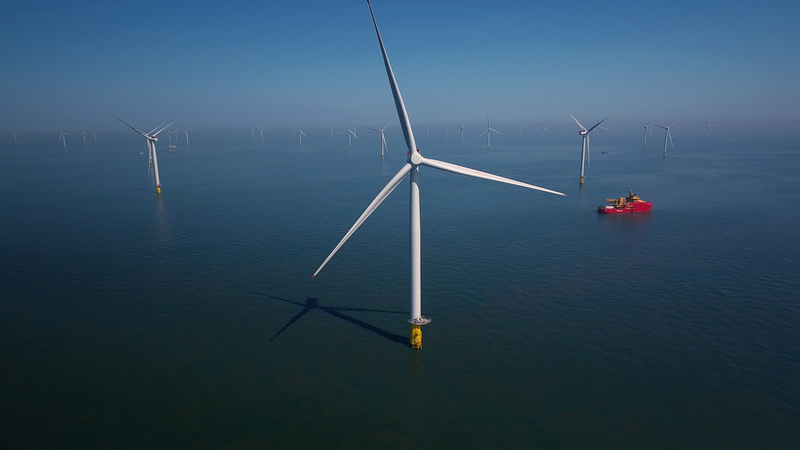 It is also keen to exploit opportunities presented by offshore wind-energy developments. Mr Young said the growth would mean jobs; the firm already expects to take on a further 20 offshore operators to cope with the anticipated rise in demand for its services. 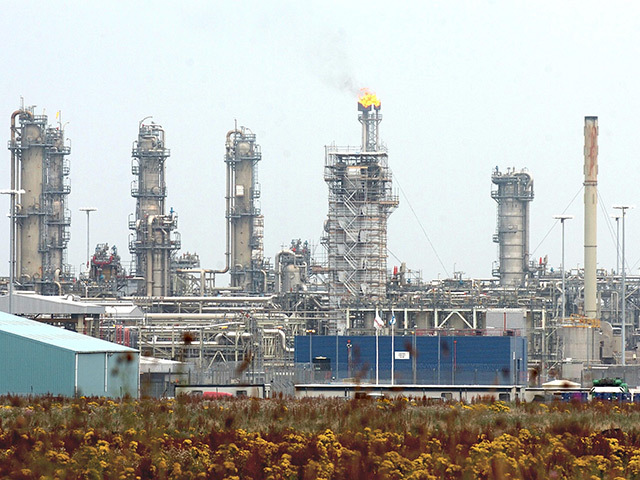 Offshore Solutions employs 35 people now, including three at Amec’s offices in Aberdeen. Since it began operating, the joint venture has clocked up more than 7,500 operational OAS connections and safely transferred in excess of 90,000 people. Its managing director started his career in Shetland with HM Customs and Excise – now HM Revenue and Customs – after leaving George Heriot’s School in the Scottish capital. Two years later, he enrolled in a business studies degree course at Robert Gordon’s Institute of Technology, which later became the Robert Gordon University. The north-east has been his home ever since, although he has had spells in Glasgow, London, Canada and Saudi Arabia along the way. Back in Aberdeen, he joined energy service firm Peco as a wireline component specialist and then US firm Brown and Root (B&R) as a project manager. He had two spells at B&R, lasting eight and 10 years, with 12 months at Amec sandwiched in between. Mr Young then joined Aker Kvaerner as vice-president for business development in 2003, followed by a move to Aberdeen-based RBG. Fittingly for a man who lists explorer Sir Ernest Shackleton as the person he admires most, Mr Young’s career has a strong international flavour to it. In his current post, he will travel back and forth between Scotland and the Netherlands each week, with three days at the company headquarters in the port city of IJmuiden and two in Aberdeen. Mr Young’s wife, Margaret, is a consultant gynaecologist at Aberdeen Royal Infirmary. The couple live at Ferryhill, in the Granite City, and have four children aged between 10 and 18. Outdoor pursuits figure prominently during family holidays – last year they went kayaking in Sweden – and both parents are heavily into endurance sports. Mrs Young took part in a marathon in the south of France last year and her husband still trains every day to top up his fitness levels after years of competing in gruelling triathlons. Events Mr Young has participated in include the Iron Man triathlon in Denmark and the New York Marathon.